Now smoking MacBaren Modern Virginia Flake in a post WW2 Pre-Republic Peterson Dublin straight smooth X155 Bulldog with a sterling silver band and a black vulcanite p-lip stem. Finishing work early tonight to work on other stuff. Smoking some Carter Hall in my Dad's birth year, 1929 Dunhill smooth billiard. We buried Dad's last surviving sibling this week. He is the 7th of 12 kids, and now is the last one left from his family at 88 years old. D&R Windsail in a MM Cob 2nd. About a quarter of a bowl left of Paul Olsen Kong Frederik Full MOB in a 2003 medium bent Ural meer with a lined and etched egg shaped bowl with a silver band and a pearl brown acrylic stem. Just finished smoking D&R Ryback Gold in a 1980 medium bend black sandblasted silver band Peterson Donegal 805 Bulldog and a black vulcanite p-lip stem. Watching Perry Mason. D&R Windsail in a Grabow Tru-Grain group 3 slightly canted, smooth 6" long billiard. Moar coffee today, rainy day morning. Almost a quarter of the way through my first smoke of the day, which is Edward G. Robinson's Pipe Blend in a 1982 black sandblasted paneled slight bend Savinelli flat bottom sitter with a black vulcanite stem. Simply Orange is my drink. Molly was happy to see me up early, and she hasn't stopped demanding attention since. I threw a lot of ear plugs and catnip balls for her to chase, and she finally, just now, wore down. Suzy is more interested in reading the lines of her inner eyelids. She'll never be an actress reading lines that way. 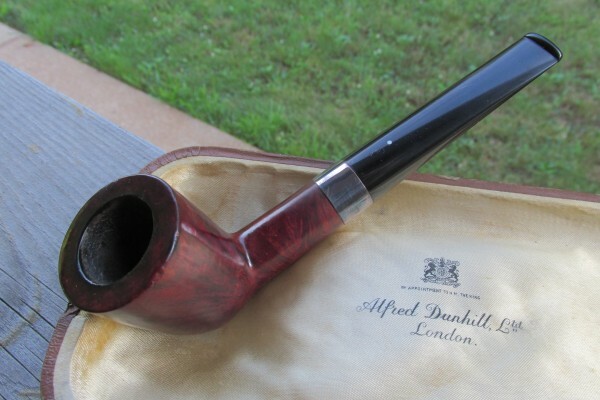 Now smoking year 1936 Briggs Mixture in a 1977 straight black rusticated Sir Brent billiard with a silver band repair and a brown pearl grey acrylic stem. Phone chatting about life with a friend. War Horse Green in a Ferndown billiard. Brighton cut with a pinch of Wessex Classic Virginia in the Comoys Sandblast Liverpool. Having coffee with my love. 2014 GLP Barbary Coast in an Ardor Urano rusticated bulldog. On to some quite delicious 2012 St James Woods in the Penzo lovat. Relaxing after a great grilled ham and cheese and am part way through this bowl of year 2002 Wessex Sovereign Curly Cut in a smooth straight early 1960s Lane era Charatan Executive Extra Large stretch apple with diagonal channel cuts on the lower right and left of the bowl along with a black vulcanite double comfort stem. This pipe was formerly owned by actor William Conrad. A bottle of Cheerwine is my drink. Watching Mad Dog Russo. 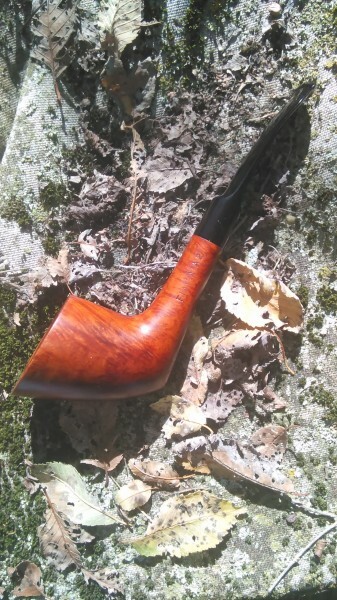 Sutliff Pumpkin Spice in a smooth Savinelli Extra Dry 904. Almost a third of the way through this bowl of D&R Vengeur Platinum in a straight smooth brown 2016 Brigham Klondike 16 bulldog with a black acrylic stem. Watching the Braves-Marlins game to see if Stanton hits his 60th homer. Now smoking C&D Blue Ridge in a much cherished smooth straight grain three quarter bend 1979 Becker M 4 heart brandy with a black acrylic stem. A bottle of 7-Up is my drink. 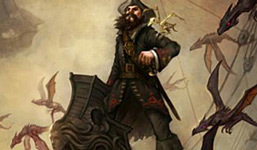 Pirate Kake in a Dagner Rhodedog. 1792 Flake in a blasted Savinelli de luxe Milano 904. Now smoking 2014 Peretti No. 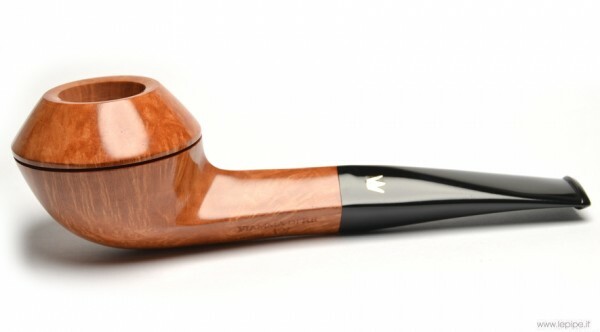 8 Slice in a 2003 medium bend straight grain Viggo Nielsen sitter with a Cumberland-like lucite stem. Ice water and bergs is my evening drink. Dunhill Durbar, for the inaugural smoke in my birth year pipe, a new to me BBB Christmas Special, with a few fingers of Ardbeg to drink. C&D Bayou Morning in my sandblasted Peterson D9. C&D's Haunted Bookshop in a Peterson Donegal Rocky bent bulldog (80s). Relaxing after a wonderful rib-eye steak, sweet corn and masked potatoes dinner with a bowl of Old Dark Fired in a smooth medium bend post-WW2 Pre-Republic Peterson Shamrock Killarney 9BC with a sterling silver band and a black vulcanite stem. Watching Smokey and the Bandit, the only good movie in the series. 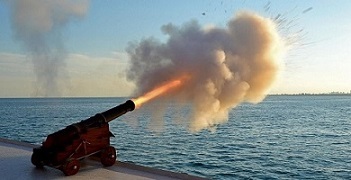 H&H WhiteKnight in a Kaywoodie poker. C&D Dark Burley in an Alden author. Condor Plug in a MM Diplomat! Sitting on my deck watching the moon and listening to the ocean. This pipe is too good to put down and go to bed....it’s just work in the morning. 2014 GLP Barbary Coast in a Savinelli Horoscope rusticated bent bulldog. Not far from finishing this bowl of Edward G. Robinson's Pipe Blend in a 2014 Basil Meadows smooth slight bend squashed tomato with an aluminum band and a black pearl acrylic stem. Simply Lemonade is my drink. I've never been a fan of Stonehaven but today I thought I'd try some mixed with my standby Virginia blender Wessex Classic Va. Still didn't work for me. I had to dump it 2/3 through. Now on to something I can truly savor.. Wessex CBD flake in the Il Duca billiard. Now smoking Wessex Gold Brick in a smooth 2002 medium bend eight sided panel top straight grain Rinaldo Collection Silver Line F Egea 05 Titania bulldog with a black acrylic stem. Got a plug of it, but not quite all of it fit in a jar, so I have enough for a couple of bowls while I age the rest of the brick. 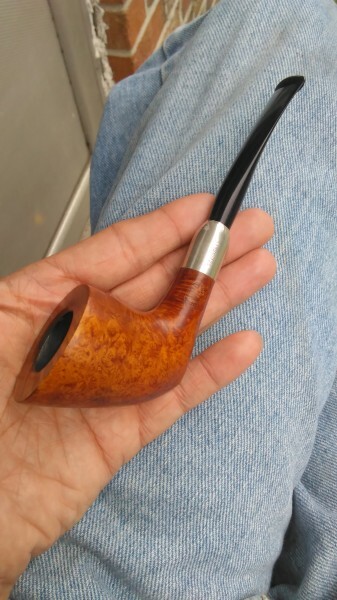 Almost half way through this bowl of Peterson Summertime Blend 2015 in a 1975 medium bend sandblasted looking, smooth on the sides yellow Pioneer meer with a black vulcanite stem. A bottle of Mountain Dew made with pure cane sugar is my drink. Time for Mad Dog Russo. Almost finished smoking D&R Ryback Gold in a 1980 medium bend black sandblasted silver band Peterson Donegal 805 Bulldog and a black vulcanite p-lip stem. This blend taste good, but burns fast. Small bowl, too, but I'm almost finished with the sample. 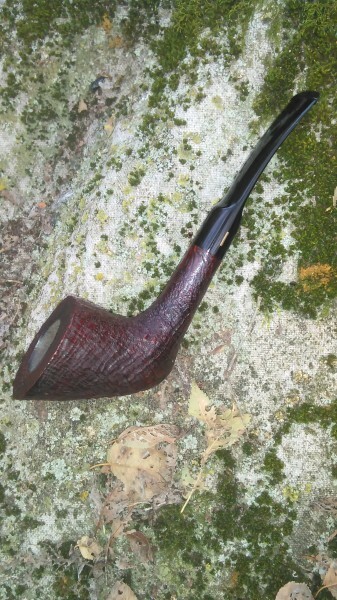 Sleepy Hollow in a Savinelli Fiammata 2 904. Now smoking year 1936 Briggs Mixture in a 1977 straight black rusticated Sir Brent billiard with a silver band repair and a brown pearl grey acrylic stem. A bottle of Bubble Up soda is my drink. Just got eleven new to me blends to review. 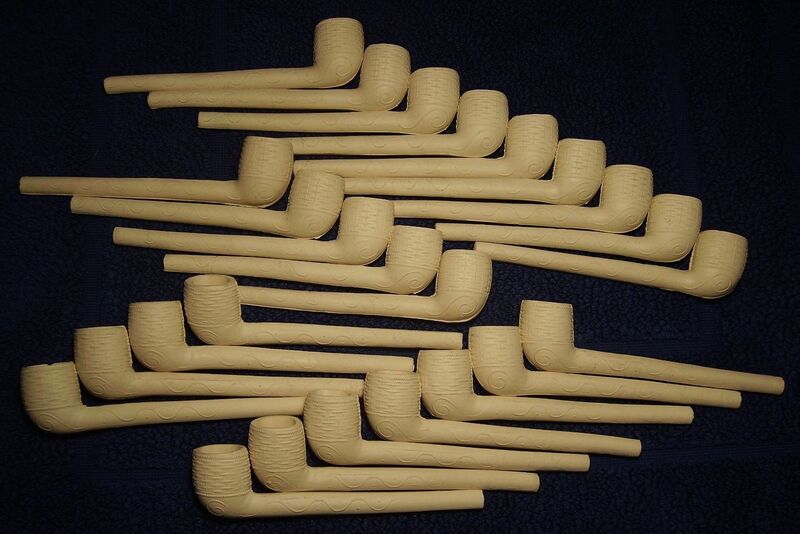 Have to figure out what pipes to smoke them in. 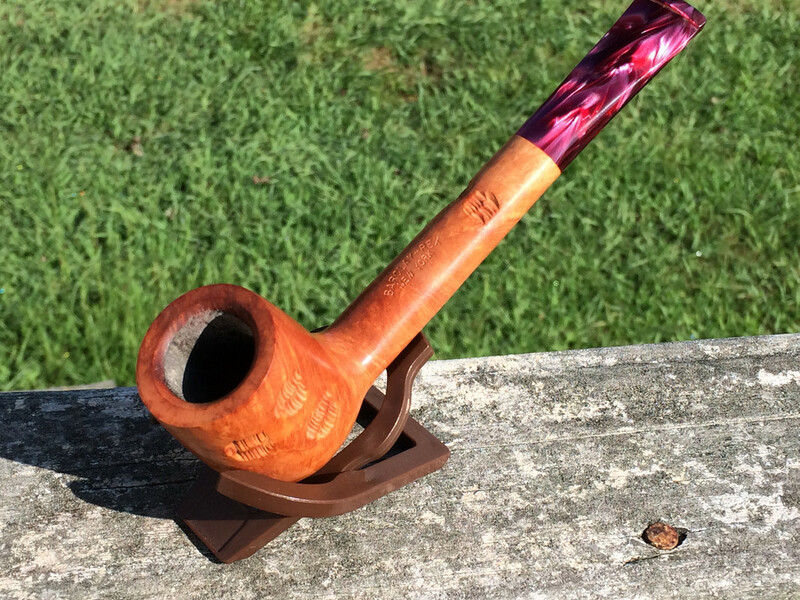 MM's Missouri Pride in a Ser Jacopo Picta Van Gogh sandblasted hawkbill (05). Off to get a hair cut with a bowl of Watch City Slices in a smooth medium bend 2011 Rinaldo Collection Fiammata Silver Line 7 Odea 4 flame grain bulldog with a silver band and a tortoise shell acrylic stem. Smoking my "Aegean Cajun" mixture, half D&R Picayune, half D&R Ramback Balkan, in my foggymountain Hilson Vintage Panel. Now smoking year 2002 Wessex Sovereign Curly Cut in a smooth straight early 1960s Lane era Charatan Executive Extra Large stretch apple with diagonal channel cuts on the lower right and left of the bowl along with a black vulcanite double comfort stem. This pipe was formerly owned by actor William Conrad. Ice water and bergs is my evening drink. 2013 Capstan Yelliw in a Peterson Trinity straight billiard. RO's Angler's Dream from 2011, in an Ardor Urano rusticated bulldog. Relaxing after a wonderful pizza dinner with a bowl of Robert McConnell Ripe Honeydew in an egg shaped medium bend smooth Burgundy colored 1985 Caminetto with a black acrylic stem. Watching Mannix. C&D Pegasus in an Alden egg w/ a teardrop shank. Orlik's Sail Regular (Yellow) from 2012, in a Fiamma Di Re bulldog. 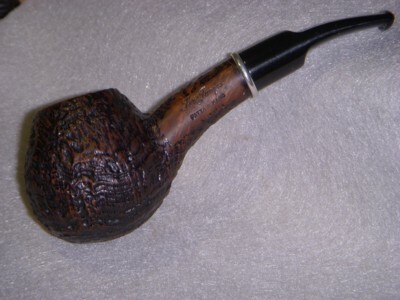 Ennerdale Flake in an Il Ceppo Dublin. Now smoking the last of my open stash of Penzance in a 1990s smooth Peterson Captain Pete XL80 bulldog with a black vulcanite stem and p-lip.